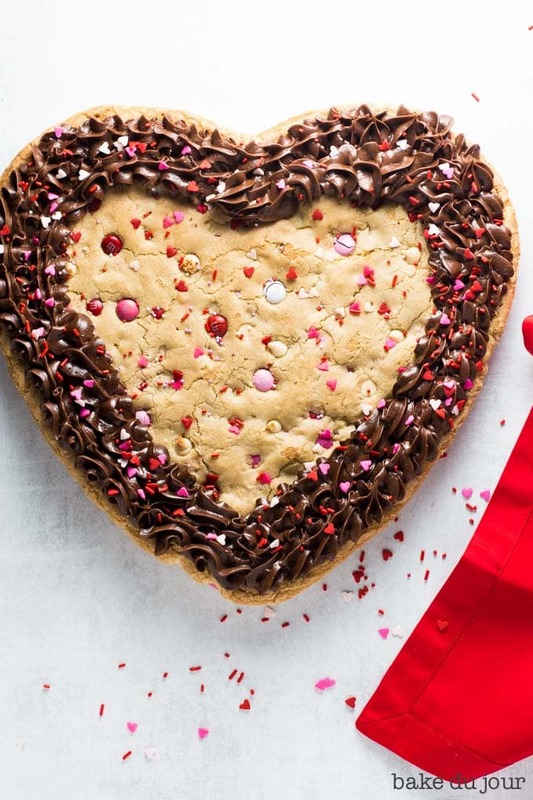 No need to decide between cookies and cake today – let’s get to work on this Valentine’s Day Cookie Cake! I’ve been a bit of a cookie fiend lately. 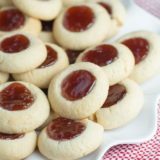 Between my Italian Butter Cookies and these spritz cookies that I made over the holiday season, I can definitely say there’s been no shortage of cookies in this house. Not that that’s a bad thing at all. 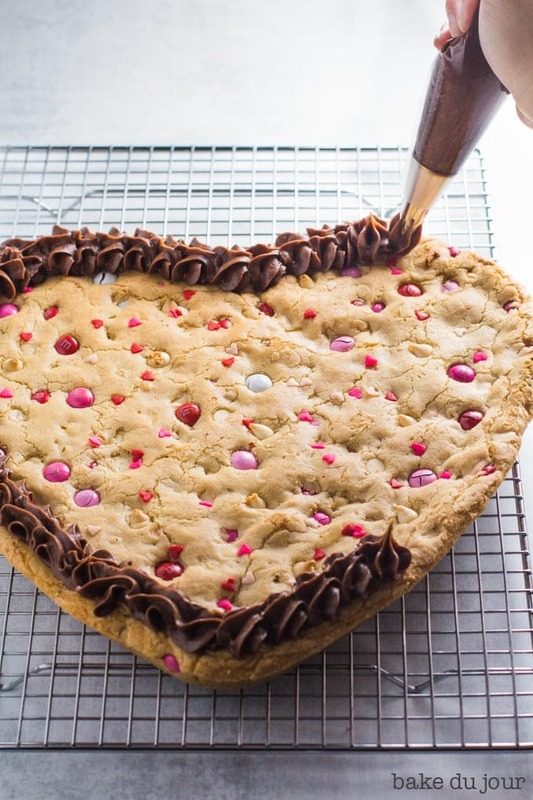 So obviously, I had to up the ante a bit and make this Valentine’s Day Cookie Cake. Isn’t she a beaut?! If you’re thinking that this is just a giant cookie, welllll you’re mostly right. But this isn’t your run-of-the-mill chocolate chip cookie.The extra egg yolk and the light brown sugar lends a beautiful tenderness to the cookie, so what you’re getting here is a larger-than-life thick and chewy (Team Chewy Cookie!) chocolate chip cookie, loaded with white chocolate chips/M&M’s/sprinkles, topped with a smooth chocolate frosting. Phew. 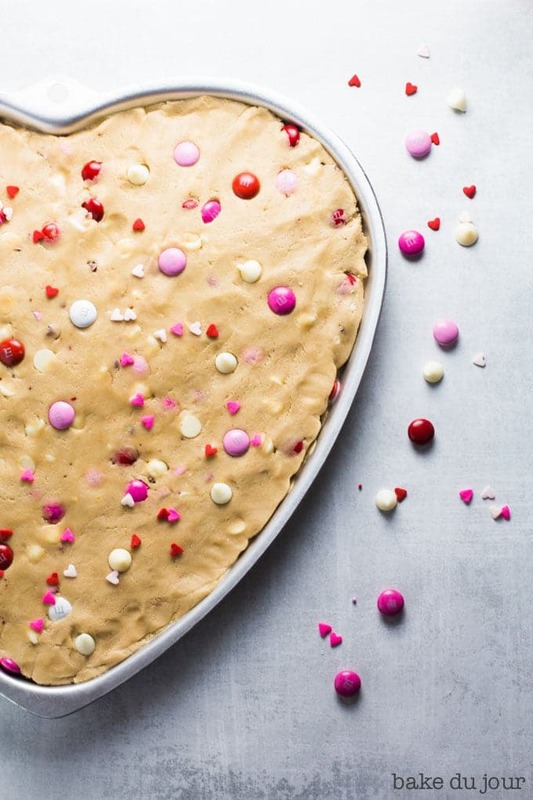 To make this cookie cake, you’ll obviously need a heart-shaped pan. I bought mine on Amazon for a little under 7 dollars. So worth it! 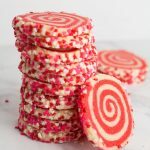 The cookie dough comes together pretty quickly, so once that’s done, you can just plop it into the pan and use your fingers to spread the dough evenly into the pan. For a more ~aesthetically pleasing~ look, place some white chocolate chips and sprinkles on top! Once the cake has cooled completely, it’s time to start frosting! Now this is completely optional, but IMO a cake is not complete without frosting, amirite? I used a can of Betty Crocker’s milk chocolate frosting here, but you are welcome to use whatever frosting you like, of course! After frosting the cake and cutting myself a slice, I felt pretty content. But feeling content just isn’t enough, y’know? This cookie cake deserved more and I wasn’t about to let it down! So that’s where ice cream comes in. And not just any ice cream. Breyer’s Natural Vanilla ice cream – the best of the best. 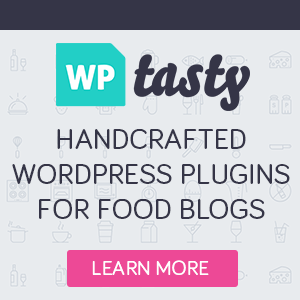 A scoop of that + a nice drizzle of chocolate syrup on top = YUM. 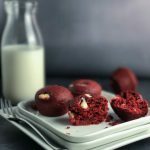 The cookie itself is just a bit crispy on the outside, and chewy on the inside. I don’t know about you, but that’s just the way I like my chocolate chip cookies! Of course, it helps that each bite is accompanied by a nice helping of white chocolate chips and M&M’s. It helps so much, in fact, that we are down to just one slice. One. Slice. And I just made the cake earlier this week! 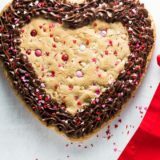 This easy recipe for a Valentine’s Day Cookie Cake, stuffed with white chocolate chips and an abundance of sprinkles, is sure to be a crowdpleaser! Preheat oven to 350F and spray the pan with nonstick cooking spray. In a medium bowl, whisk the flour, salt, and baking soda together. 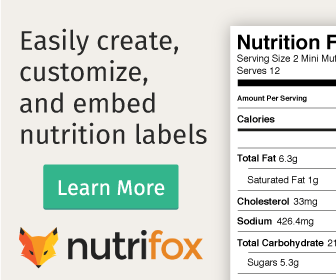 In a large bowl, combine the sugars and butter and beat until light and fluffy, about 1-2 minutes. Beat in the egg, egg yolk, and vanilla extract until combined. Slowly add the flour mixture and mix at medium speed until combined. Add the chocolate chips, M&M’s, and sprinkles and mix until just combined. 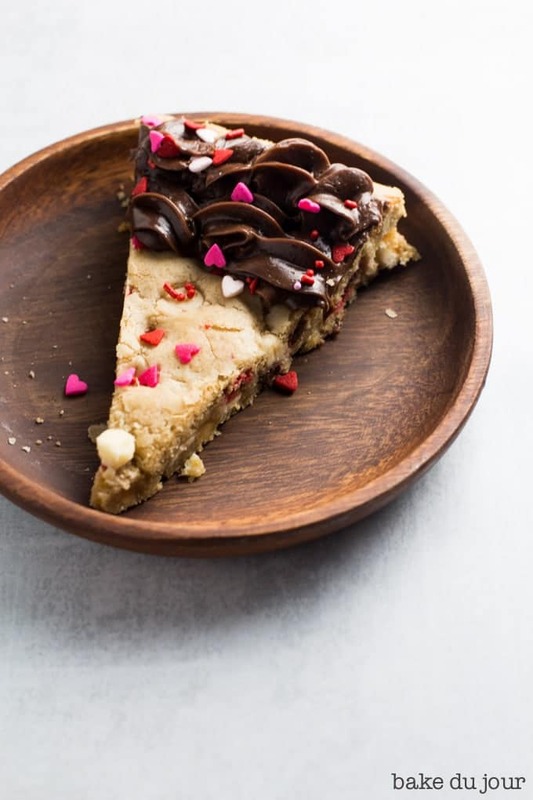 Transfer the cookie dough to the greased cookie pan and use your hands or a silicon spatula to flatten & distribute the dough evenly across the pan. Bake the cookie cake for 20-25 minutes, until the edges are set and are just beginning to brown. Allow the cookies to finish baking/cool in the pan for 20 minutes, then transfer to a wire rack and let cool completely. Using a Wilton 1M piping tip, pipe your frosting around the edges of the cake. Half a can of store-bought frosting allows you to frost one thin layer around the cake; for a thicker layer of frosting (like the one depicted in my photos), use the whole can. 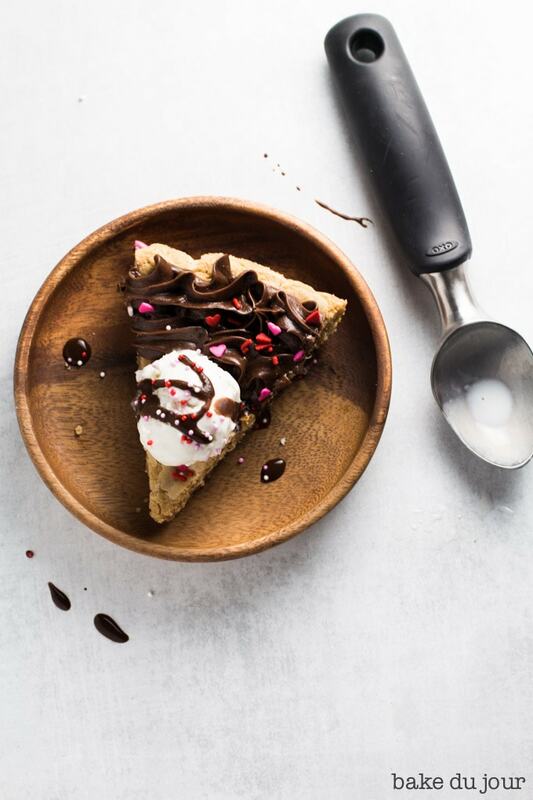 You can adapt this recipe to bake the cookie cake in a 12″ pizza pan instead. Just monitor the baking time! What a nice idea for Valentin’s Day! Love the way you decorated it!!! 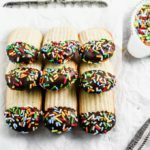 This is a georgeous cookie cake, and yes I think adding the frosting really takes it to the next level, such a creative recipe 🙂 I could eat that whole cake!! Aw, thanks Albert, I really appreciate it! 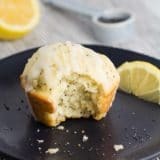 This is making me hungry ! I’d probably eat the whole thing to myself, ha ! Haha, I don’t blame you at all!